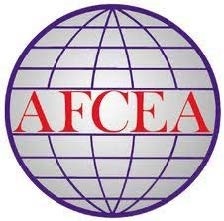 More than 80 percent of AFCEA corporate membership is small business and Geodesicx is proud to be one of nearly 2000 corporate members to participate in various AFCEA activities. Most recently Craig Herring, Geodesicx Program Manager in Charleston, was selected to lead the Lowcountry AFCEA Chapter Golf Committee. In addition, Zach Conover, Geodesicx VP leads the Lowcountry AFCEA Chapter’s Education Committee and several of our employees volunteer with the Young AFCEAns.